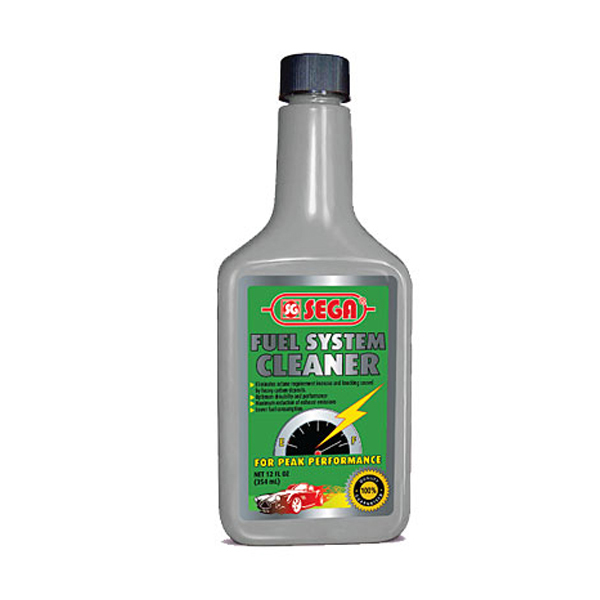 SEGA Fuel System Cleaner is developed to maintain the cleanliness of the fuel system and reduce the octane requirement increase. - Maintains the cleanliness of the fuel system. - Reduces the octane requirement increase. - Prevents the formation of deposits in the carburetor and on injectors and valves. - Lubricates the injestors the inlet valves, fuel sysmte and upper cylinder area. - Is suitable for leaded and unleaded petrol and does not contain copponents that harm catalytic converters.